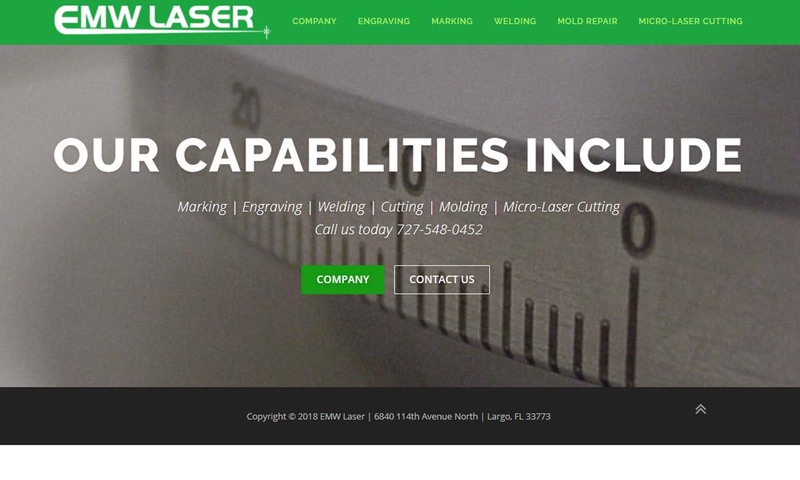 A reliable source for Laser Cutting Services information and a resource for accessing leading Laser Cutting Services and suppliers. Laser cutting is a hot cutting process used to cut materials like metal or sheet metal. Laser cutter service providers generally employ a carbon dioxide laser to perform the low-distortion hot cutting. The “cut” of a laser is actually an energy transfer that causes the material to melt or burn along a line. The word “laser” is an acronym that stands for “Light Amplification by Stimulated Emission of Radiation” and a laser beam is a highly focused wavelength radiation that will not dissipate. Laser cutting allows for tighter accuracies on a smaller scale than any other metal cutting method. 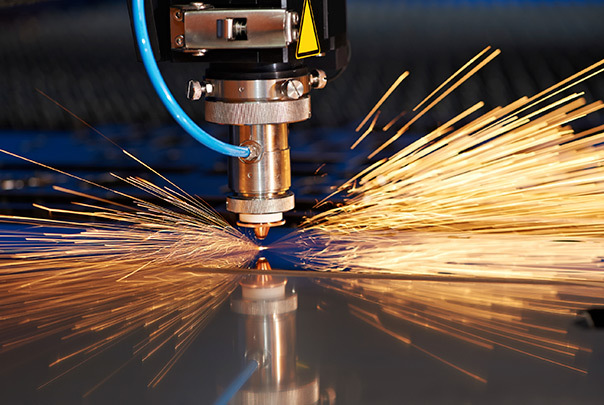 In addition to cutting, slicing, vaporizing, and melting, lasers can perform various machining and micromachining services, such as laser drilling, laser welding, laser etching, and laser engraving. Laser Cutting Services Laser cutting is a hot cutting process used to cut materials like metal or sheet metal. Laser cutter service providers generally employ a carbon dioxide laser to perform the low-distortion hot cutting. Focused Beam is a marking shop filled to the brim with experience the industrial engraving applications you need. We provide laser cutting and engraving in materials such as aluminum, stainless steel, glass, wood, brass, plated metals and more. 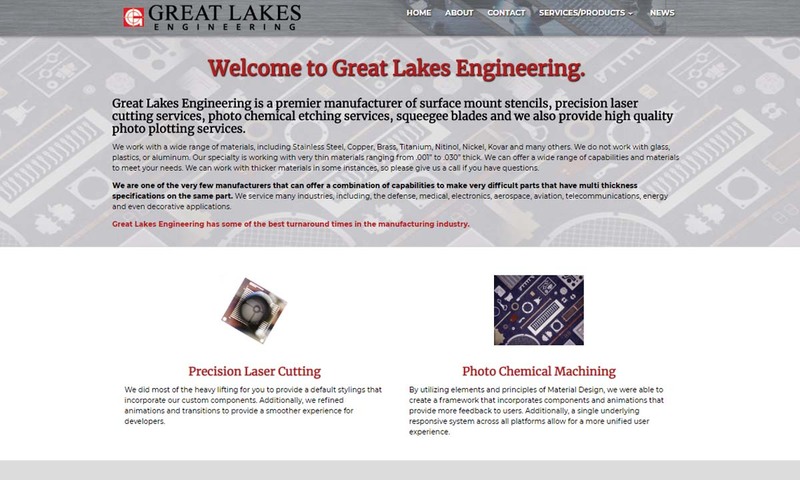 Great Lakes Engineering is a trend setting manufacturer of surface mount stencils, precision laser cut parts, and photo chemical etched parts. We work with a wide range of materials, including Stainless Steel, Copper, Brass, Titanium, Nitinol, Nickel, Kovar and many others. Our teams at Remaly Manufacturing Company, Inc. utilize state of the art equipment to provide you with laser cutting capabilities. Our teams provide cutting services for a wide range of materials such as steel, aluminum, stainless steel, monel and much more. Custom Finishers, Inc. is our wholly owned, in-house, laser cutting / CNC machine service center started in 1976. Four high powered CO2 cutting systems run round-the-clock. Services include laser cutting, laser engraving, laser routing, laser boring and prototypes. Our fiber optic metal laser cutting capabilities include Stainless steel, Aluminum, CRS and other ferrous and nonferrous metals. 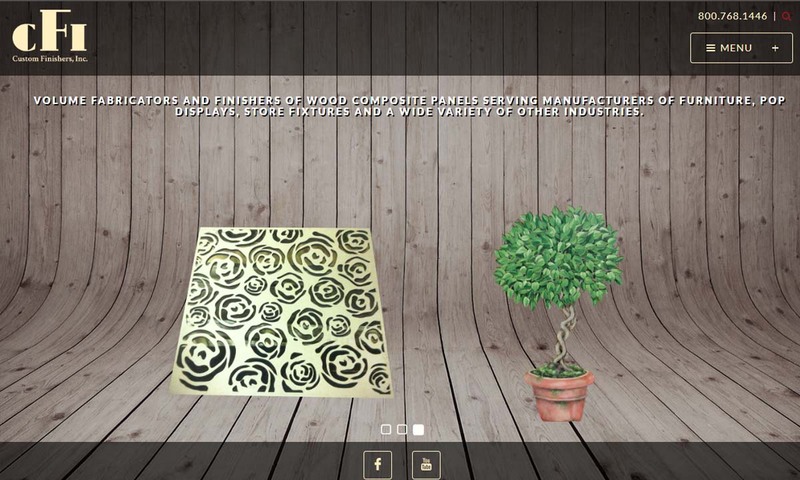 We can laser cut flat blanks, stencils, signs, prototypes, and custom formed fabricated parts. Recognized as the largest laser shop in the Southeast, EMW Laser prides itself on the company’s commitment to continuous improvement in quality and capability. Aerospace and automotive manufacturing industries use laser cutting to fabricate pieces like precision parts, gaskets, solar cells, nozzles, and circuit boards. Cell phone parts, transducers, microchips, and military and communication devices rely on laser cutting as well. Even water piping and refrigeration systems have some laser cut elements. In the medical industry, laser cutting is used to drill hypo-tubes, catheter holes, filtering devices, gas flow orifices and other highly intricate devices. Laser cutting technology is an innovation of the mid-20th century. While Albert Einstein theorized laser technology in the early 1900s, engineers did not build the first laser until 1960. The first laser was built by an American engineer and physicist named Theodore H. Mainman. It was a solid-state pink ruby laser. Four years later, Kumal Patel, an engineer in New Jersey, developed the first gas laser cutter, which used CO2. 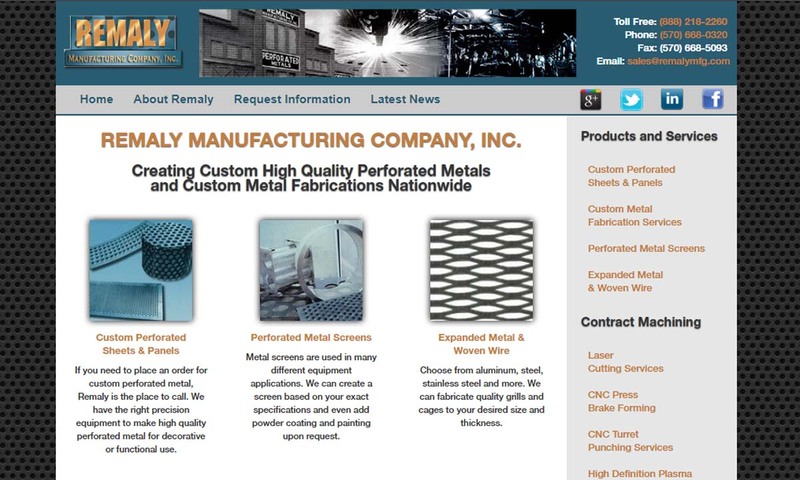 Laser Cutting – Remaly Manufacturing Company, Inc. In 1967, British engineers came out with the first laser-assisted oxygen jet cutting system. They used their invention to cut sheet metal. By the ‘70s, manufacturers around the world were using laser cutting systems for all sorts of applications, from titanium cutting for aerospace to textile cutting. Today, laser cutting services have come a long way. For example, CO2 lasers are now strong enough to cut metal materials when they could not do this back in the 1970s. In general, laser cutting services have become less expensive, more efficient, able to make more precise cuts and more versatile (new wavelength bands, etc.). As time goes on, this trend will continue. Laser cutters are frequently controlled through precision programs. These precision programs, which direct the laser cutting process with minimal human intervention, get the information they need from CNC systems that use CAD designs to input machining details. 1. The precision program gathers the required information for proper laser machining. 2. Technicians/the cutting machine cast the laser beam onto the material to be modified. 3. Either the workpiece or beam move in order to melt the workpiece in localized areas. Manufacturers focus and direct the laser beam either using CNC control or CNC control combined with fiber optics or mirrors. 4. Technicians may partner an “assist gas,” like nitrogen or carbon dioxide, with laser cutting in order to ready newly cut surfaces for painting or corrosion resistance coating. CO2 laser cutting, for example, is a gas assist laser cutting technique, and it is considered the most powerful wave laser in the world today. Before beginning laser cutting, manufacturers map out what they’re going to do based on a number of factors as they relate to your application. These include part material, required tolerances, part dimensions, the preferred laser cutting system and position of the head or nozzle. Manufacturers can create custom laser cut products by adjusting certain elements of the laser cut machine, such as CNC programming inputs, cut speed, heat affected zone (HAZ) and type of assist gas. To perform their services, laser cut part manufacturers use three main laser types. These include metal lasers, fiber lasers, Neodymium (Nd) lasers, Neodymium yttrium-aluminum-garnet (Nd: YAG) lasers, CO2 lasers and high-powered lasers. Metal lasers are any lasers that manufacturers design to exclusively modify metal workpieces. Among the most common laser cut metals are titanium, stainless steel, carbon steel, mild steel, and scribing metals. Fiber lasers rely on the use of fiber optic (optical fiber) lasers that have been treated with rare earth elements such as ytterbium, thulium, erbium, or thulium. Fiber lasers are popular for their low operating costs, easy maintenance, and lack of moving parts. CO2 lasers are versatile lasers capable of cutting anything from wood to stainless steel sheet to paper. Manufacturers primarily select them to perform industrial cutting, engraving and boring. 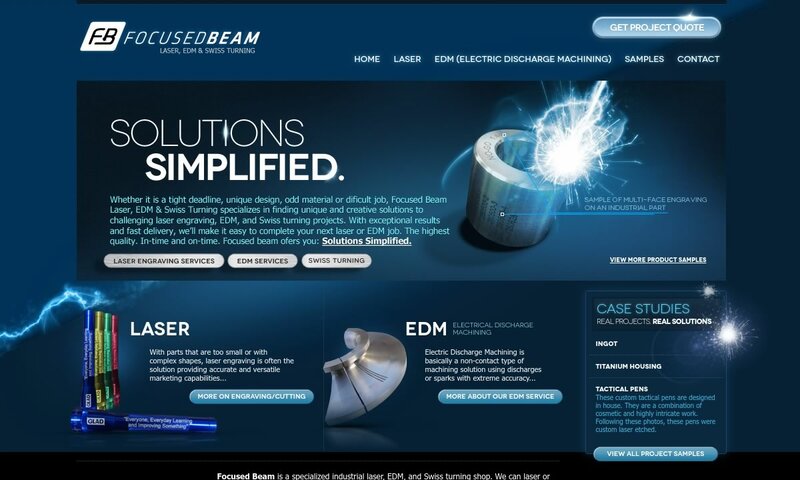 Subtypes of CO2 lasers include slab lasers, slow axial flow lasers, fast axial flow lasers and transverse flow lasers. Neodymium (Nd) lasers are a type of fiber laser. They work best with boring applications that call for high energy but require little repetition. Manufacturers also use them to perform laser welding. They work best with ceramic and scribing metals. Neodymium yttrium-aluminum-garnet (Nd: YAG) lasers, another fiber laser, are extremely similar to Nd lasers. They, however, work best with engraving and boring applications that call for exceptionally high power. They can also be used for laser welding. High power lasers are specially designed to cut strong material, such as those same stainless steels, mild steels, and scribing metals that metal lasers cut. High power lasers may double as many other kinds of lasers. Variations on laser cutting include laser drilling, waterjet cutting, laser engraving, fusion cutting, thermal stress cracking and laser welding. Laser drilling is a process service providers use when they want to create holes, whether for decoration or function. They do so using laser beams, which create holes with tight exact tolerances. Waterjet cutting subs out lasers from highly pressurized water. By using waterjet cutting, manufacturers can save money, resources and energy. However, waterjet cutting is not universally applicable. Rather, manufacturers can only use it on certain materials. It will not work on hard materials and it will likely break materials like glass. Laser engraving, or laser etching, lets manufacturers precisely etch surfaces. Instead of melting surfaces, laser engraving vaporizes or fractures surfaces. Manufacturers perform laser engraving with laser engraver machines, which are controlled by a combination of CNC technology, CAD programming, and human operators. Fusion cutting, also known as melt and blow cutting, involves blowing molten material from the cutting area using pressurized gas. In doing so, manufacturers circumvent the task of raising the material temperature. This process is popular for its low power requirements. Thermal stress cracking is an alternative to cutting that involves causing thermal expansion via localized surface heating. When applied to especially brittle materials, which are sensitive to thermal expansion, thermal expansion will cause cracking. Manufacturers can use their laser beam to guide this cracking in the pattern they want. Thermal stress cracking works best with glass. Laser welding, also known as laser beam welding, is a technique laser cutters use to join high volumes of thermoplastics or metals. The laser welding machines emit focused high heat beams that create deep, precise and narrow welds. This process is most useful in automotive manufacturing. There are many reasons to love laser cutting. First, laser cutting produces parts with nearly zero edge deformation, roll-off, or edge factor. This means that very little burring is left on their cut edges. Second, with consistently quicker turnaround times, laser cutting is faster than other tool-fabrication methods. Part of the reason laser cutting services have such fast turnaround times is the fact that the service allows manufacturers to implement design changes with ease. Another great thing about laser cutting is its use of CNC machinery means, which translates to the requirement of fewer technicians and the assurance of greater safety. Finally, laser cutting services are versatile, varied, and very efficient. While creating many options, they create little waste. This popular method of cutting does have some disadvantages, most of which relate to hot cutting. For example, because the material gets so hot, narrow areas may experience thermal expansion and/or warping. Also, when oxygen is used as a gas assist, it puts stress into the cut edge of some materials, causing distortion and oxidation. (This is mostly seen in dense hole patterns.) Lasers aren’t very effective on metals like aluminum and copper alloys (because they reflect light and absorb and conduct heat), and neither are compatible with glass, crystal or any other non-metals. Additionally, they require large amounts of energy. This and limited material options, make laser cutting a costlier process. Finally, all lasers, but especially infrared and ultraviolet ones, present potential danger to one’s eyesight. Despite these drawbacks, laser cutting still offers manufacturers distinct advantages over traditional cutting processes such as mechanical and thermal machining, EDM, arc welding, and flame cutting. Stable motion systems ensure outstanding control of laser beams and extremely high-quality cuts. Laser cutting accuracy rates top those of any other cutting methods, with slightly higher precision tolerances and smaller slicing widths than even water jet cutting. 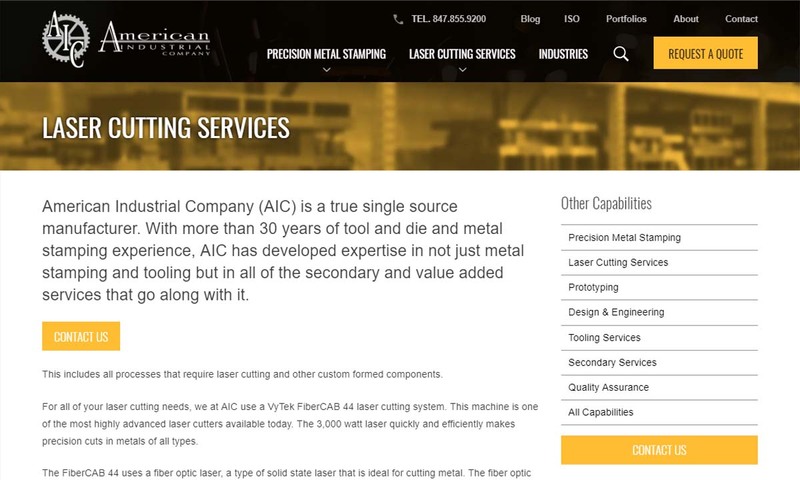 If you decide that laser cutting services are right for you, you need to need to connect with a high-quality service provider. To assist you in this endeavor, we’ve put together a list of several top-rated, industry leading laser cut parts manufacturers. Before you look at them, we encourage to write a list of your requirements, questions and concerns, standard application information like project description, pattern requests, request volume, etc. Also make sure to write down specifications like budget, timeline, preferred delivery method, standard requirements, etc. Once you’ve compiled your list of specifications, start looking at the laser cut service providers we’ve listed on this page. You’ll find them sandwiched, complete with profiles, in between these informational paragraphs. As you browse, frequently reference your specifications list for comparison.  Pick out three or four manufacturers you’d like to speak to at length, then reach out to them individually. As you talk to them, take note of their demeanor and helpfulness. Remember that customer service is just as or more important than price tags. After you’ve spoke with each of them, decide which one has the most to offer you. Then call them up and get started. Good luck!